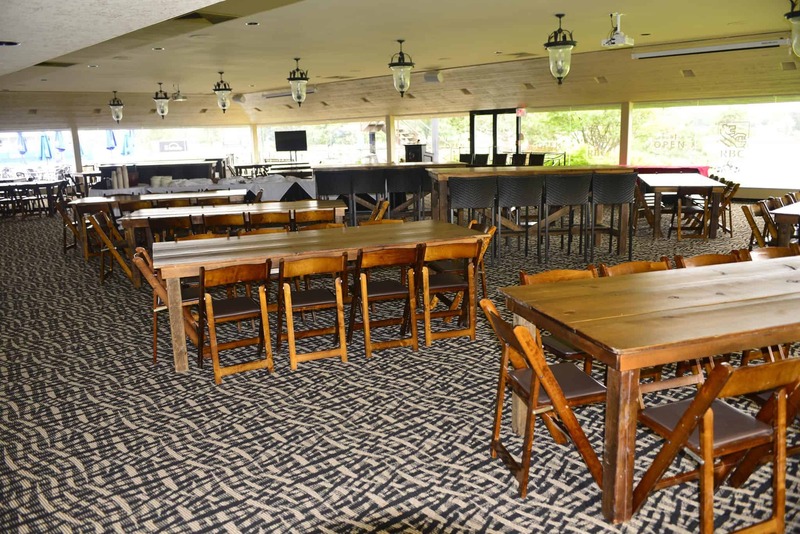 2017 Canadian Open | Special Event Rentals / Party Rentals Inc.
Each year, Special Event Rentals supplies furnishings, flooring, fencing, signage and more for the Men’s, Women’s and Seniors Canadian Open. Read this blog to learn more about the various rentals we provide for this yearly event! 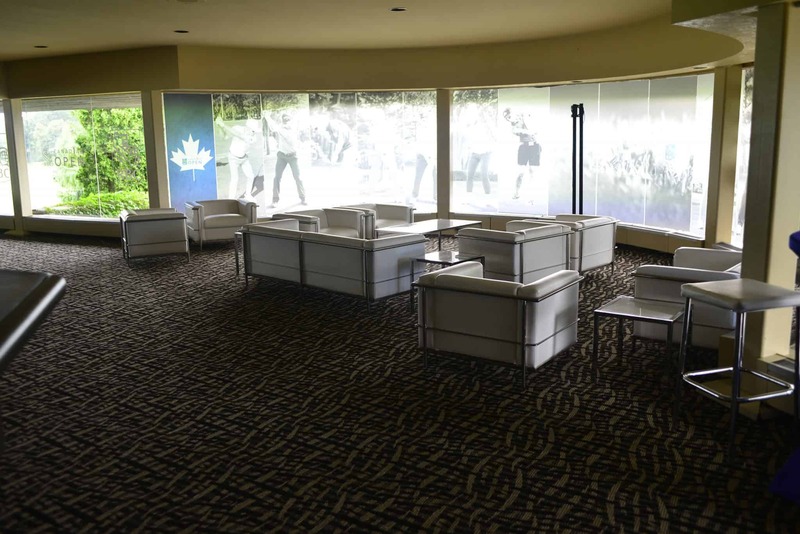 The Canadian Open has been played annually since 1904, and Special Event Rentals has been supplying furnishings and décor since 1995. 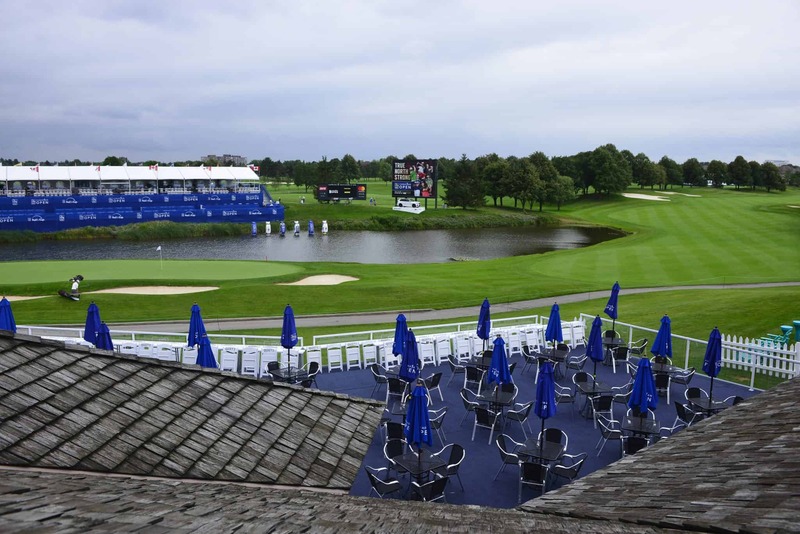 If you’d like to learn more about the Canadian Open, check out the RBC Canada website here: http://rbccanadianopen.com/history/. Since we’ve been working with Golf Canada for so many years, we’ve had the opportunity to travel to Vancouver, Edmonton, Calgary, Winnipeg, Montreal, Ottawa and Toronto over the years. Basically, where the Open goes, we go. An event of this magnitude takes a ton of organization on our part, we have to prepare staff weeks in advance! We typically organize the entire set-up over a period of three weeks. In comparison, we take everything down within one-week and ship everything back to Burlington, Ontario, where our warehouse is located. If you’re wondering just how much we send over – its roughly 14 trailer loads! With all of this product away for just over a month, we still manage to execute our regular events and weddings accordingly. 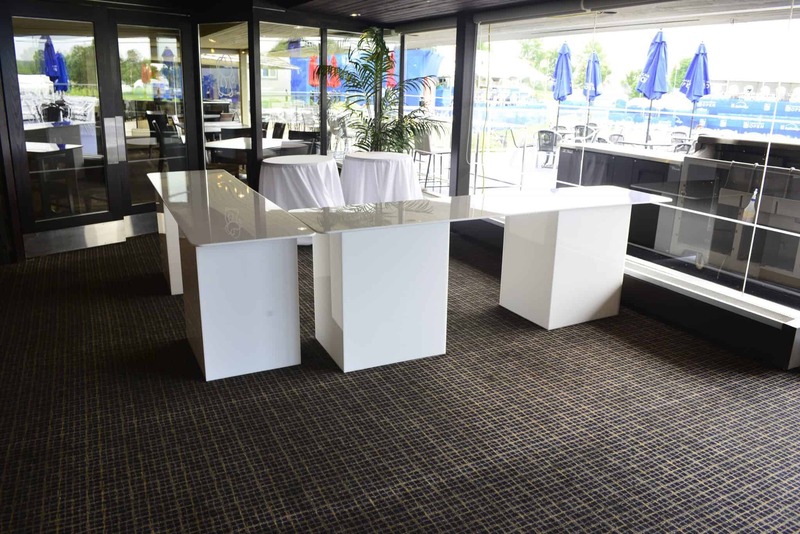 Lounge areas are quite popular for this event; you can check out photos of our products set as lounge areas below. 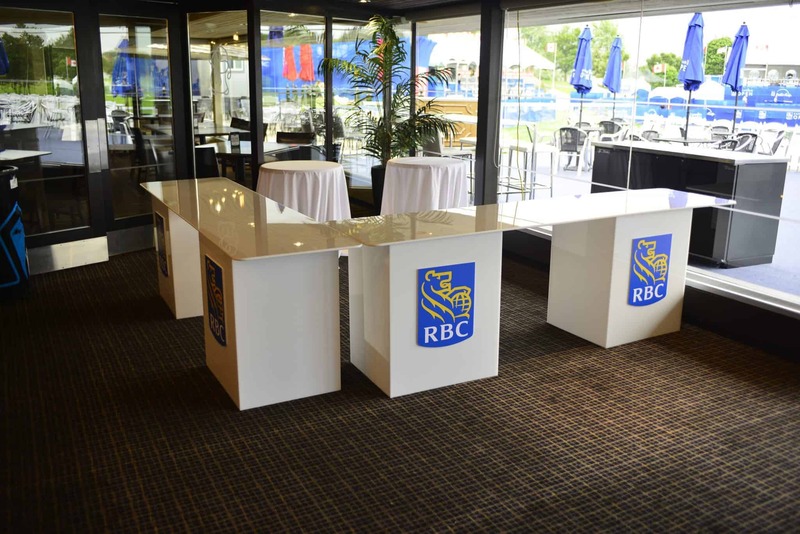 For the last three years, RBC has chosen to go with rustic furnishings for their lounge area. Pictured below, we send our harvest tables, walnut folding chairs and our Tuscan style bar stool. 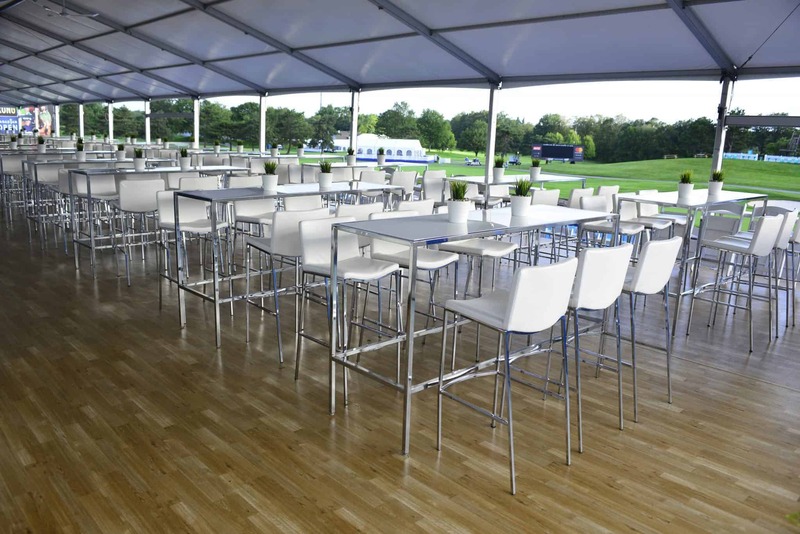 We also create multiple lounge areas in other areas of the golf course. 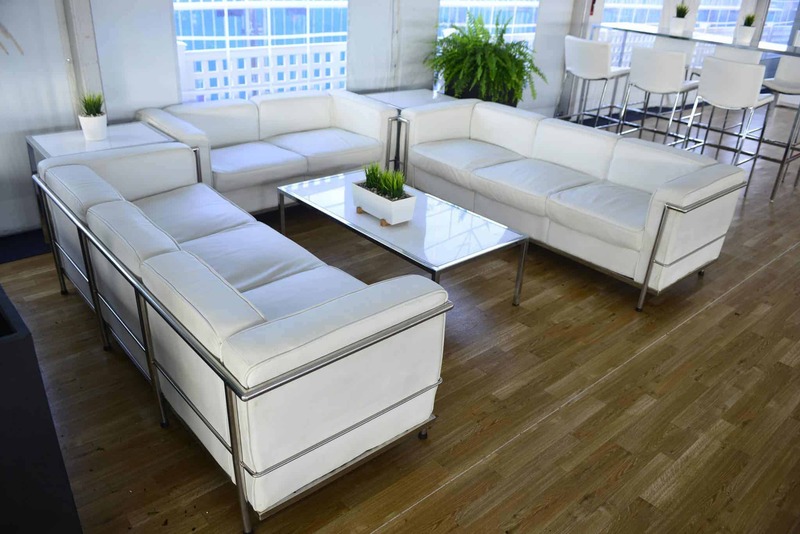 Each year, our white leather furniture is the chosen décor for these spaces. Pictured below, we are able to create comfy spaces, complete with coffee tables and end tables. Since we’re constantly revamping our inventory, we built brand new white acrylic tables just for this years’ Open! Of course, they are now available to our regular customers as well. These tables work extremely well for a more updated buffet station, as opposed to using table skirts. Another great feature of these tables is the ability to put company logos on each end box. 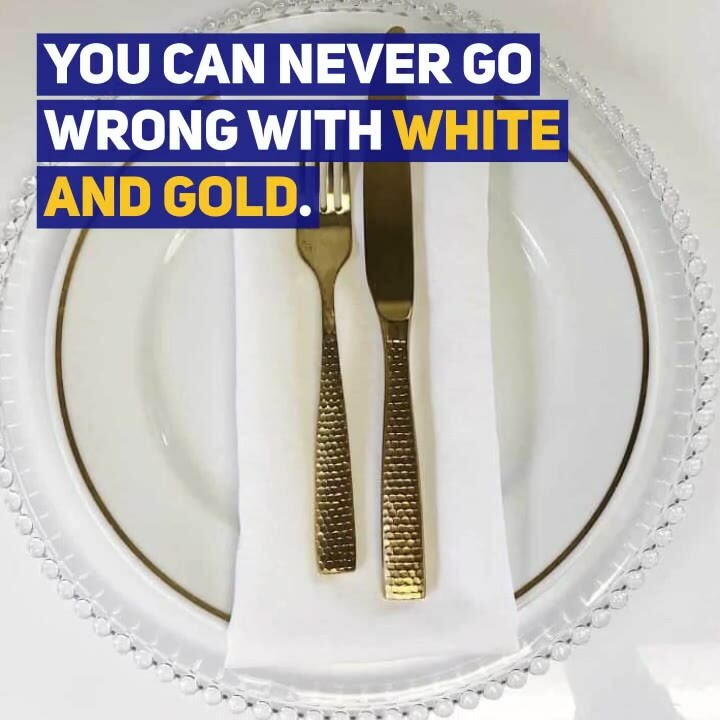 This makes the tables great for corporate events! You can even add to the logo by underlighting the tables in a colour of your choice. Keep up-to-date with our latest blog posts and products by joining our mailing list below!